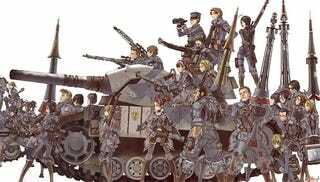 Valkyria Chronicles Is Coming To PC! The original Valkyria Chronicles, a gorgeous strategy/RPG for the PS3, is getting a late (but very welcome) port to the PC. Sega just confirmed it via Twitter, with more info to come. If you never played it, know that for all its flaws (it got tough), this was a strategy game with a ton of personality and heart.